In this article on Georgia DUI Law, Part I, The Traffic Stop, which is the initial phase of the DUI prosecution will be discussed. In upcoming articles, Part II will address the State Administered Chemical Test. Part III will address motions to suppress or limit evidence, and Part IV will address the trial of the case. Each year in Georgia and throughout the U.S., in general, DUI arrests spike during holiday weekends and late night hours as their is a suspicion that many motorists on the roads during these times have consumed alcohol and are driving while impaired. 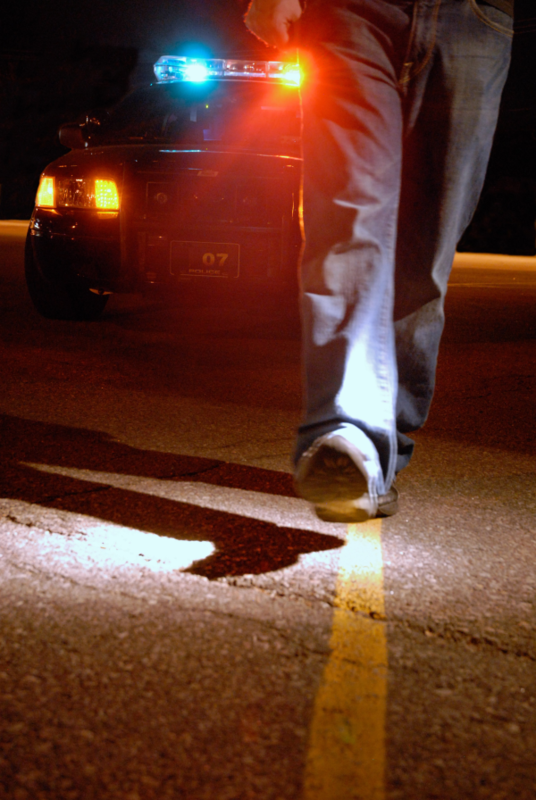 The collection of evidence in a DUI stop begins with physical observations of driving behavior. And some of these observations include traffic stops which many officers would ignore during daylight hours. For example, in Atlanta, an individual is much more likely to be stopped for speeding during late night hours. Although the posted speed limits are normally 55 mph on Interstates 85, 75, 285, and 20, as well as Highway 400 and 78, it is normal during daylight hours to see people speeding between 70 and 80 mph while a law enforcement officer sits on the side of the road and takes no action. However, during late night hours, an individual driving 70 mph is much more likely to be stopped for speeding. Other physical observations will include, for example: weaving, failing to maintain lane, no turn signals, no seat belt, driving in the wrong direction, driving too slow, improperly changing lanes, expired tags, improper stopping, being involved in an accident, and being parked in a vehicle after having consumed alcohol with the key in the ignition, just to name a few. The physical observations create the articulable suspicion that some aspect of the law has been violated. And once the traffic stop is made, the physical observations continue and may include: an admission of having consumed one or more alcoholic beverages, blood shot, watery eyes, slurred speech, sweating profusely, being argumentative or crying, slow reaction to or difficulty in following directions or producing a license and insurance, being unsteady on his/her feet, leaning on a vehicle for balance, etc. The physical observations continue with the performance of field sobriety evaluations. And by the way, most DUI task force vehicles in the Atlanta area are equipped with continuously recording video and audio equipment. This explains why, after making a traffic stop on the suspicion of DUI, the officer asks the driver to stand in front of the police cruiser. The video equipment records the driver’s performance of the field sobriety evaluations, while a small microphone attached to the front of the officer’s uniform records the conversation between the officer and the suspected driver. 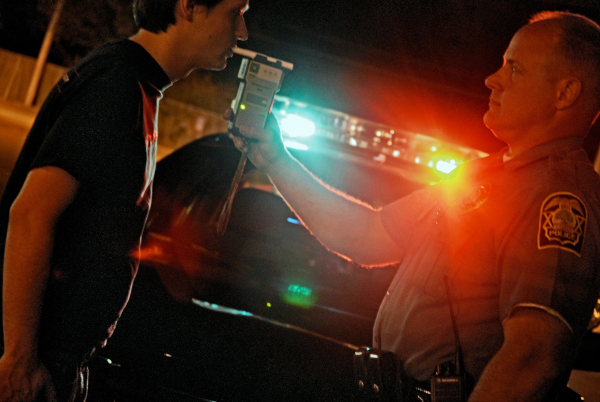 Most drivers stopped on suspicion of DUI are of the belief that they “passed” the field sobriety evaluations. What the officer is looking for are “clues” as an indication of impairment. For example, while the driver performs the “walk and turn”, the officer will note the number of times the driver misses touching heel-to-toe, the number of times the driver raises his/her arms to maintain balance, etc. On the “one-leg-stand”, the officer will note the number of times the driver puts his/her foot down before completing the evaluation or, again, the lifting of the arms for balance. Every now and then we hear of an officer who asks the driver to recite the alphabet backwards. However, reciting the alphabet backwards is NOT an approved or recommended field sobriety evaluation. I am not aware of any individual who practices reciting the alphabet backwards. It should also be noted that field sobriety evaluations are VOLUNTARY. Another evaluation performed at the scene of the traffic stop is the alcosensor. The alcosensor is a handheld device into which the driver blows a breath sample. The alcosensor is NOT the official state administered test. In court, the officer is only permitted to testify as to whether the alcosensor was positive or negative for the presence of alcohol from the breath sample. Once an arrest is made, the officer is REQUIRED to advise the driver of his/her implied consent rights. 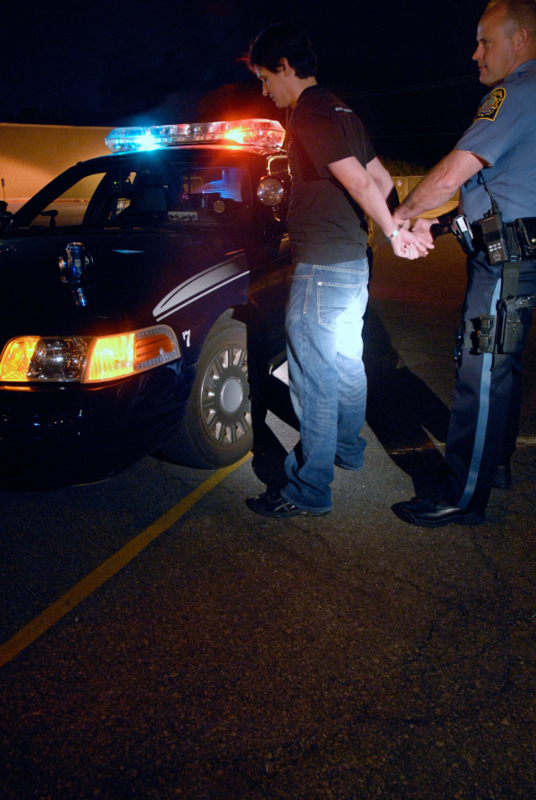 People are frequently confused about what rights the officer is required to inform them of when arrested for suspicion of driving under the influence. MIRANDA rights are required if a law enforcement officer wishes to “question” a suspect after the suspect has been arrested. If the officer does not wish to question an individual (once in custody), a Miranda warning is not required. On the other hand the IMPLIED CONSENT notice IS required once an arrest has been made and applies to the request for a State Administered Chemical Test of his/her breath, blood or urine test to check for the presence of alcohol or other substances (i.e., drugs). If the driver REFUSES to submit to the State Administered Chemical Test, OR if the test results are 0.08 or greater, the officer will typically file form DPS-1205 which is a request for an “administrative suspension” of the driver’s license (or privilege to drive in the State of Georgia, if licensed in another state). The driver then has only ten (10) business days to request a hearing on the issue of the administrative license suspension. There is a required payment of $150.00 that must be mailed in along with the hearing request. Failure to make the request within ten (10) business days will result in an administrative suspension of the driver’s license on the 30th calendar date from the date of the arrest. The last paragraph on the DPS-1205 form is the notice to the driver of the pending suspension. Many drivers ignore or just don’t notice the fine print informing them of the pending administrative suspension. Accordingly, if the driver fails to make the hearing request and is subsequently stopped for speeding (or some other minor traffic offense), the driver will be surprised, shocked or both when arrested for driving with a suspended license. And the argument that he/she received no notice of the suspension will fail as the notice is included in the fine print of the last paragraph (front page) of the DPS-1205. For further information on DUI stops, evidence, arrests, defenses and range of punishment, contact: Trial Lawyers USA, LLC at 678-882-7355, or e-mail: info@triallawyersusa.us for a free consultation.